Before joining HTC as SVP of Virtual Reality, Rikard successfully built up several international businesses in Video on Demand, YouTube MCNs and eSports, as the CEO for MTGx and Chief Digital Officer at Modern Times Group. At Google, he was Global Marketing Director of Mobile and Social Advertising and prior to this ran marketing for all Google’s products in Europe. 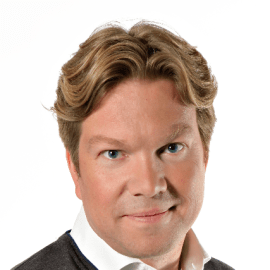 He co-founded of Scandinavia Online (AOL of Nordics) and founder and build Xlent Strategy Consulting. Founder of Women in Tech and Women in VR in Europe. Future Astronaut with Virgin Galactic. MSc from SDA Bocconi (Italy) and BSc from Chalmers University of Technology (Sweden).